Our goal is to educate student doctors and dental hygienists who are prepared to deliver quality, patient-centered, oral health care with compassion and respect. As part of the educational process and level of faculty supervision required, please understand appointments may be lengthier than in a private dental practice and may require multiple visits. The University of Louisville School of Dentistry operates six general dentistry comprehensive care teams. Once you become a patient, you will be assigned to one of these six teams. In addition to the student doctors and faculty supervisors, each team has two Team Leaders, an Office Manager, Schedulers, Team Coordinators and Assistants. Comprehensive dental care services are offered including preventive and periodontal care, in addition to restorative and oral surgical treatment. Common procedures that you may experience are cleanings, fillings, crowns, bridges, root canals, extractions, implants, removable dentures, and complete dentures. To schedule an initial evaluation for adults, please call 502-852-5096. To schedule an initial evaluation for children ages 4 - 21, please call 502-852-5642. These student clinics are located at 501 South Preston Street. 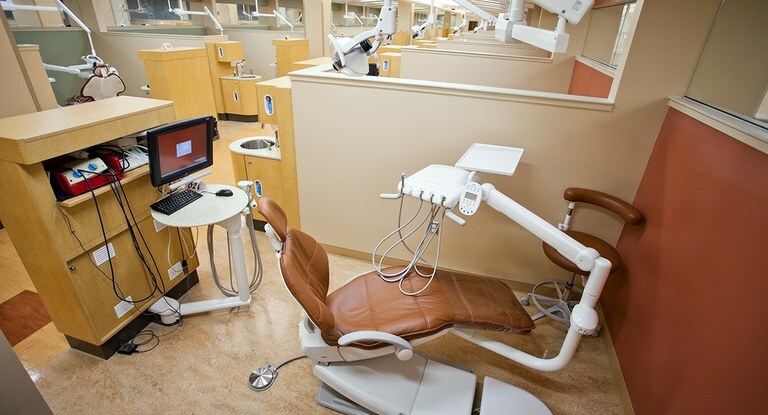 The University of Louisville Dental Hygiene Program focuses on providing preventive and therapeutic services designed to achieve and maintain oral health. Clinical preventive and periodontal services such as dental cleaning and oral health education are delivered under the supervision of full and part-time faculty. To schedule an initial evaluation please call 502-852-5096.